Run to the beat with the world's loudest fun run this May 2017! The Music Run by AIA is back for it's third year! Ticket sales for this award-winning sell-out event are now open, with prices starting from $50 for the Super Early Standard Pack & $75 for the Super Early Rock Star Pack. Set against the backdrop of Sentosa’s gorgeous beaches, The Music Run by AIA promises to be a heart-thumping good time for all Music Runners on 6th May 2017. More like a party than a run, The Music Run by AIA is the ultimate 5k running and music festival. Participants will run down the untimed five kilometre ‘Sound Track’, as the running course is known, across five music zones with Rock, Old School, Pop, Hip Hop and Dance tunes blasting along each kilometre. To add to the experience, The Music Run by AIA empowers The Music Runners to decide the songs they want to run to. Using a bespoke online music selection app powered by Spotify, participants can vote up to five songs per playlist every day to build the official soundtrack for each zone. The songs with the most votes will be played on the day and make the official soundtrack for the Singapore run. The Music Run by AIA will kick off with sets by a local act at the Music Village before the run begins at 3.30pm, and end with an After Party featuring international radio house DJ Sam Withers. Throughout the event, Music RunnersTM will also be treated to a range of fun and exciting activities in the Music Village. The Music Run has been bringing the beat since 2014, winning fans the world over from Los Angeles to Bangkok. Since then, it has drawn more than 100,000 runners across 12 events and nine countries. 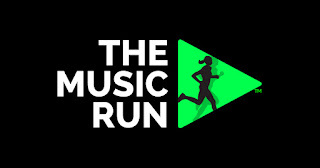 Be part of The Music Run by AIA and register now at www.themusicrun.com.sg. A Standard Pack includes a T-shirt, bag, sticker, and tattoos while the Rock Star Pack includes a T-shirt, bag, Rock Star cap, phone arm band, $10 merchandise voucher, a sticker, and tattoos. Registration starts at $50 and two children aged five and below can run for free with an accompanying adult. Promo code: TMRXANGELINE for 10% off your tickets!